I just discovered a new trick in making fruits & vegetables just a little bit more accessible. Like everyone, I’ve been thinking of my goals & resolutions for 2014 and at the top of my list EVERY January is always getting us back on track because we have had our fair share of holiday fun. Although I love the holidays when they roll around & all of the traditions & flavors that come along with them, I equally love when they are done & we fondly wave adieu until we meet again next year. On New Years day I was sitting & sipping my tea & working at waking up (lol) when a segment came on Kathie Lee & Hoda. I thought it was going to be the typical ‘how to stay on track’ information and to be honest most of it was, but then a tip was shared that made total sense & it was the perfect answer for my growing family. She talked about the organization of our refrigerators & how we buy produce & put it in to the appropriate produce drawers; yup, that’s me! So, I decided to give two of my refrigerator shelves a New Year’s Make-Over & take my eye level pantry approach and apply it to the refrigerator. Today, in the middle of this frigid snow storm when its way to cold to make snow angels & we’re kind of sugared & baked out, I washed blueberries, baby carrots, grapes and grape tomatoes. I cut up a pineapple, seeded two pomegranates, sliced the celery & made fresh guacamole. The shelves are cleaned out, everything is ready to grab & with kids that are growing and making more decisions on their own with foods & snacks, it’s ready to grab & go (for me too)! I am a big fan of “grab and go”! I love this idea of putting everything eye-level. Also cleaning and chopping everything up as soon as possible really helps me to eat my fruits and vegetables instead of throwing them away after they rot in the drawer. I think I’m going to give my fridge a “New Year’s Make-Over” too :)! This is brilliant. Why are the produce drawers always on the bottom, where no one wants to go??? I know right – lol! Great idea, and what better time to do it than during a snow storm (when I really want to snack). It is so important for the kiddos and adults to have healthy snacks on the ready so that we don’t reach for the first sugary starchy junk food we see. :)! And, the best thing is it really has been working over here….it’s amazing what one little change can do! :)! It’s great isn’t it? A great idea to make fruits and vegetable at eye and reachable for kids. I am a firm believer in teaching our kids to eat right.and they will follow it through their lives. I have pinned this. Thanks for sharing. Visiting from Fantastic Friday Link Up. Have a wonderful healthy New Years. 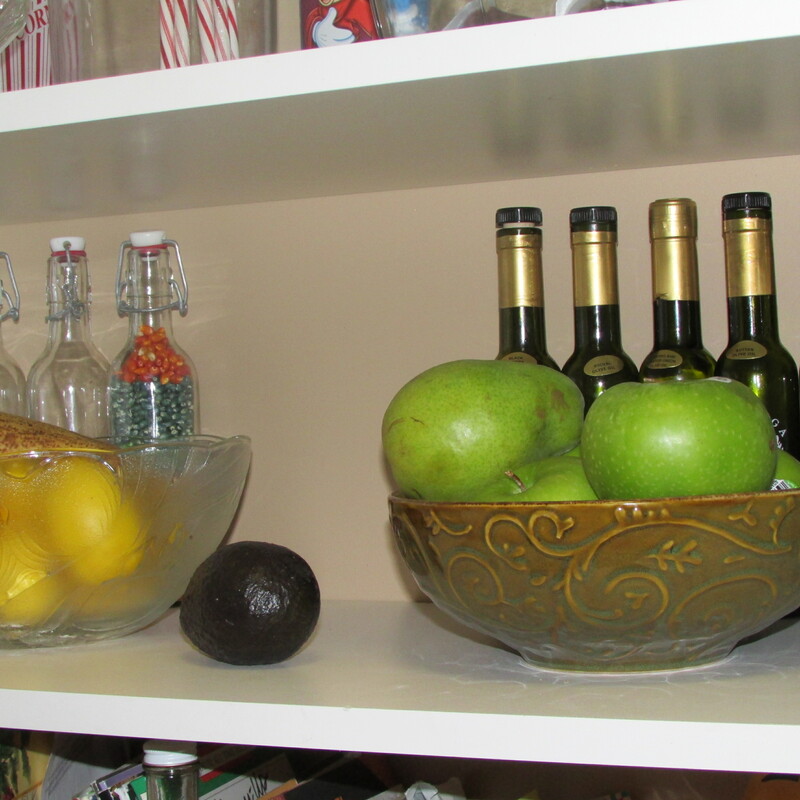 And I was notorious for putting them in the drawers & in the drawers they are kind of all stuffed in because we buy so many fruits & veggies & kids just don’t want to dig through & prep – lol! It’s been working :)…fingers crossed it will become habitual. Great post, and great ideas! Thanks so much for sharing with Full Plate Thursday today! Wonderful idea! 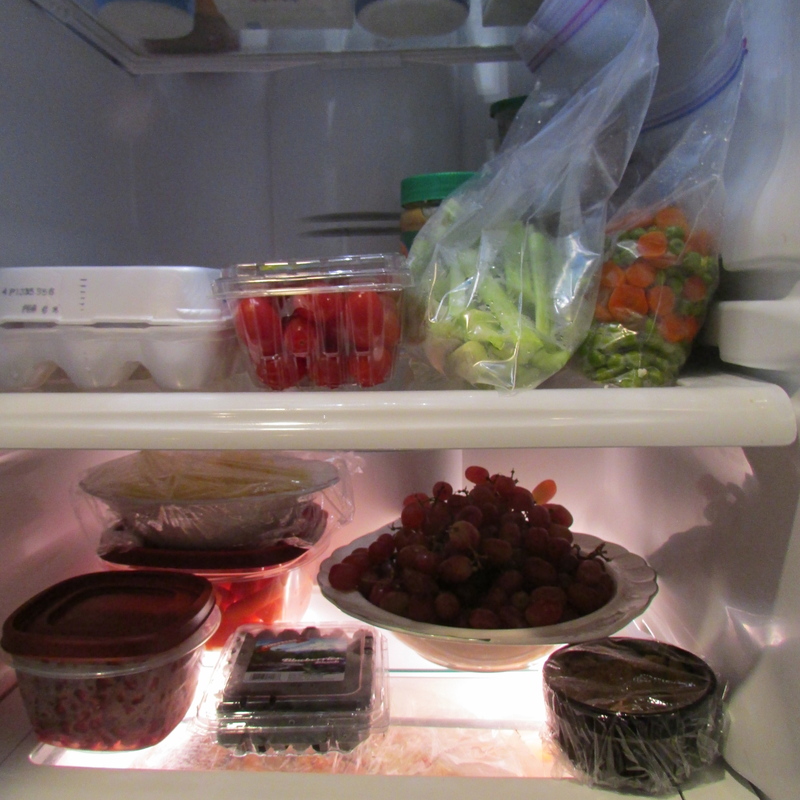 I’ve found having produce (whether fruits or veggies) already prepped makes ME more likely to eat it, never mind my kids! I don’t do this with fruit but I do with salad toppings. Thanks for sharing via Family Fun Friday. Looking at your fridge now it seems so obvious! Funny that so many of us (like me!) just follow the fridge labels and hide the fruits & veggies away. WE ALL do it/did it :)…I’m so glad we’ve made the change. We still have items in the drawers, but they are the items I will cook with, not the ones for us to grab & eat now. It’s really helped a lot! I think many of us say “duh!” because it is so obvious but no one thought of it! Thanks for sharing and linking up to the Thumping Thursday bloghop. 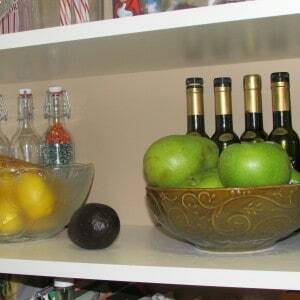 Great idea… I have the fruit bowl, but the refrigator is not organized to entice eating fruits and veggies. I am surprised what a big difference this has made in eating everything up throughout the week that’s in the fridge – a lot less waste! Pingback: Featured Posts from Pin It Monday Hop #41 «Dizzy Busy and Hungry!